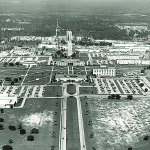 Planning for Northside began as early as 1972 when the need to serve the growing northern area of Hillsborough County was identified by the Tampa Bay Area Mental Health Planning Council. Staff was recruited and the first patients were served on July 15, 1976 at our location at Florida Mental Health Institute (F.M.H.I.) on the grounds of USF. We were the only non-profit mental health center located on a college campus in Florida. In 1984, Northside became accredited by Joint Commission on Accreditation of Health Care Organizations. In September 1993 Northside moved from F. M. H. I. into its current main facility, a newly constructed 42,000 sq. ft. building.